With three dead at the Key West championships this year, questions of safety in Super Boat racing have come up, as they often do when tragedy haunts the racecourse. “I believe there is a safety issue,” says John Connor, a 40-year veteran of powerboat racing who has retired from competition. 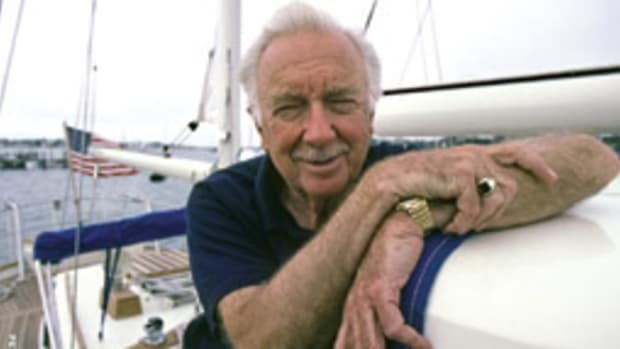 He is calling for stricter equipment standards for cockpit capsules, in particular, and tougher inspections to weed out non-compliant boats. 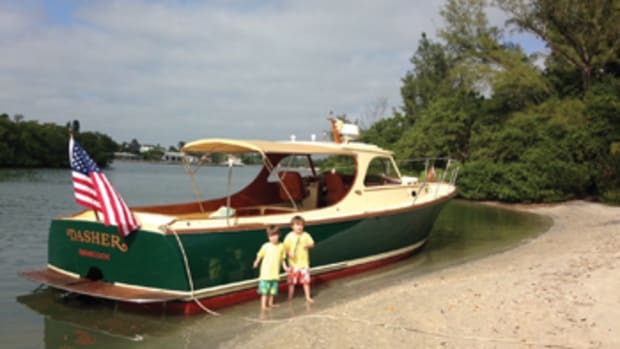 Connor, who won multiple world and national championships racing with Betty Cook and Tom Gentry, says inspectors should be looking at the design, construction and reinforcement of the cockpit canopies, as well as the way they are attached to the boat. 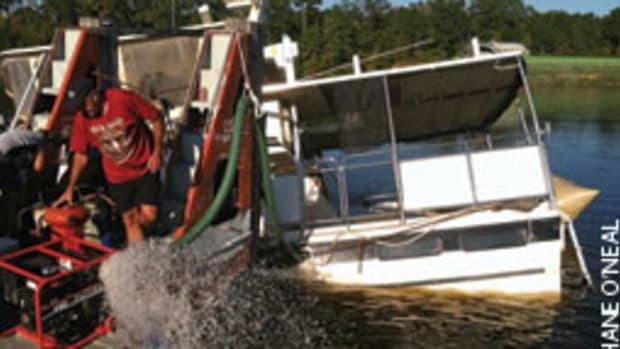 The cockpit canopy on Big Thunder Motorsports, a 46-foot Skater catamaran, was crushed when the boat flipped over backward. Its two crewmen died in the accident. The canopy of Warpaint, a 38-foot Apache catamaran, “imploded” when it stuffed its sponsons into a wave at more than 140 mph. Its crewmen were hospitalized. He isn’t sure it’s possible to build a bubble canopy strong enough to withstand those forces while keeping it light enough to use on a raceboat. He says drivers complain that the thicker the material is, the harder it is to see out of it. 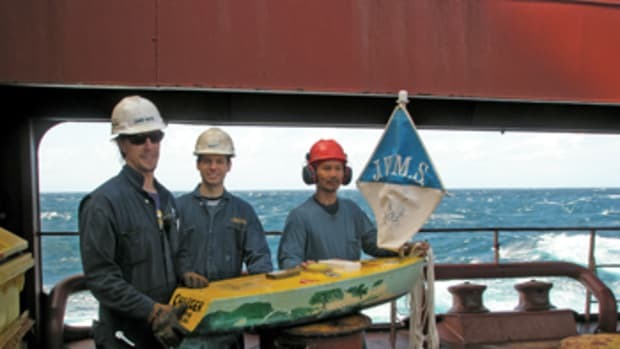 Starting in the mid-1980s, many raceboats were fitted with enclosed cockpits taken from F-16 fighter planes, and the cockpits were equipped with oxygen systems in case the boat flipped and crewmen needed air while they climbed out a hatch on the boat’s bottom. Super Boat International has adopted cockpit design guidelines and, although it recommends that all entries comply with them, compliance is not mandatory. Carbonell says SBI does not require compliance because it would have to designate one design as the standard, which would leave the organization liable if a racer were killed or hurt using it, particularly if the team wanted to use a different design. Carbonell says SBI will issue a report on the Key West fatalities based on investigations by the Coast Guard, insurers and his own organization, and will address canopies if they turn out to be a safety concern. 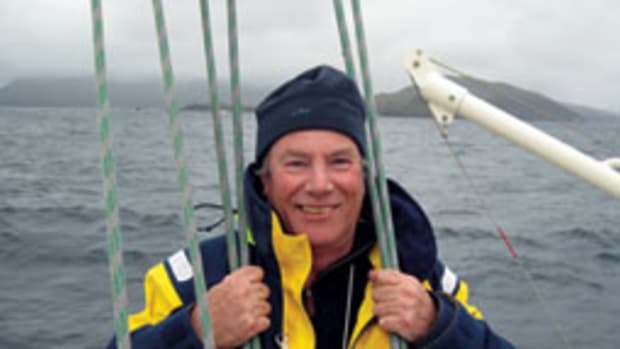 He says he’ll share the results with the World Professional Powerboating Association in Dubai, which in turn will pass to him the facts it gathered after the deaths of two racers in December 2009. 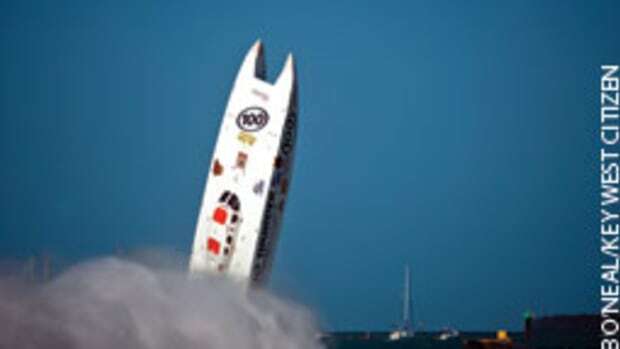 The 42-foot catamaran Victory 1 went airborne, flipped and landed upside down during the Dubai Grand Prix. Its reinforced cockpit also buckled, raising questions about standards. There also were concerns about the speed of the rescue response. Carbonell says SBI has not sidestepped safety concerns. It has developed cockpit standards; requires racers to take twice-a-year dunk tests that simulate crawling out of an upside-down boat; recommends that teams take scuba courses to learn how to use oxygen masks underwater; has reduced the length of races to 40 or 50 miles; has moved the racecourse inside the reef, where seas are more moderate; and has six rescue boats and two rescue helicopters covering the 6.5-mile course.